Hawai‘i ukulele sensation Taimane will perform live for one night only at the Palace Theater in Hilo on Thursday, May 31, at 7:30 p.m reported Island News Hawaii. The Island News Hawaii performance is part of Taimane’s “Elemental” CD release tour, which has included sold out shows nationwide. She and her trio—including ukulele, classical guitar, vocals and percussion— will perform songs from the new album, available on June 5. Two years in the making, the album is described as an exploration of natural and metaphysical worlds, featuring songs written by Taimane herself. The song titles include ”Water,” “Air,” “Earth,” “Fire” and “Ether” as well as mythic references to other worlds including “Hades” and a bonus track, “Atlantis.” said Island News Hawaii. 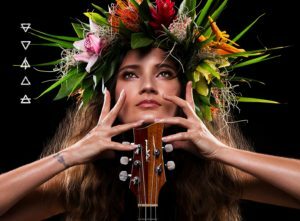 Taimane’s electric performances incorporate genres spanning classical, rock, flamenco and tribal hymns. They have drawn more than 8 million online video viewings. An O‘ahu native, Taimane has shared the stage with artists like Michael Franti & Spearhead to a sold out crowd at Red Rocks Amphitheatre. She has also headlined her own shows in New York, Washington D.C., San Diego, San Jose and Santa Cruz. Doors for the May 31 show will open at 6:30 p.m. Pre-sale tickets are $25 general admission, $20 for students and $35 for reserved seating according to sources at Island News Hawaii. All coffee will be $5 on the day of the show. Tickets can be purchased online, in person at the Palace Theater box office, or by phone at (808) 934-7010, weekdays between 10 a.m. and 3 p.m Island News Hawaii.